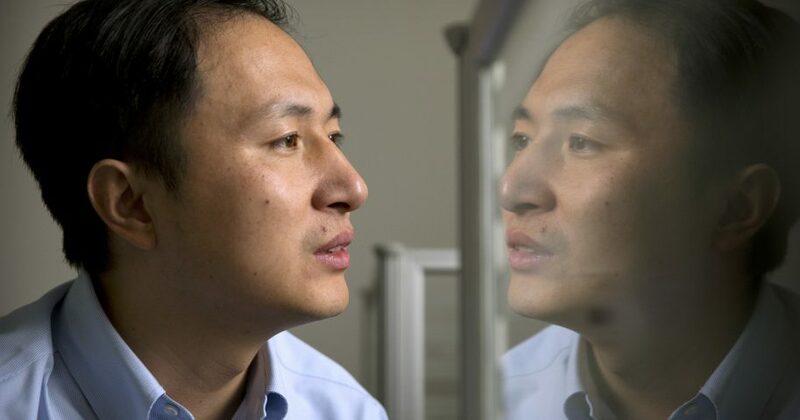 Chinese authorities appear to have confirmed a scientist’s unpublished claim that he helped make the world’s first gene-edited babies and that a second pregnancy is underway, and say he could face consequences for his work. China’s official Xinhua News Agency said Monday that investigators in Guangdong province determined that the scientist, He Jiankui (HUH JEEN-qway), evaded supervision of his work and violated research norms because he wanted to be famous. The report said He acted alone and will be punished for any violations of the law, although it didn’t say which regulations he may have broken. The scientist stunned the world in November by claiming that he had altered the DNA of twin girls at conception to try to help them resist infection with the AIDS virus. He’s work has been widely criticized as unethical because of questions about whether the participants truly understood the risks. It is also considered medically dangerous because of possible harm to other genes and the DNA changes can be passed to future generations. The scientist, He, could not be reached for comment. A media relations person who had been acting as He’s spokesman declined comment. It’s unclear how many edited embryos remain from He’s experiment and what will become of them. “This behavior seriously violates ethics and the integrity of scientific research, is in serious violation of relevant national regulations and creates a pernicious influence at home and abroad,” the report of the Guangdong province’s investigation said. Do you think gene-edited babies are unethical? The statement shows that “scientific leadership is taking this situation seriously,” said Alta Charo, a University of Wisconsin bioethicist and one of the leaders of the Hong Kong conference. It’s hard to interpret without knowing who was involved in the investigation and what they did, but it “does indicate that there is a system of regulatory controls in China that can be brought to bear on any effort to prematurely use this technology,” which may be a better way to regulate it than an outright ban, she said. A week or so after the news broke of He’s work, “he was calm, he was thoughtful,” and “was thinking about what he should have done differently,” Hurlbut said. There are plain-clothes guards at the university apartment where He is living, because “He and the authorities believed it was a good idea” to shield him from media and others trying to contact him, not because he’s being treated like a prisoner, Hurlbut said.